The long wait is coming to an end - the HTC Hero is finally getting the Android 2.1 update this April. The CDMA version of the Hero is getting the update too, a bit sooner in fact (March 26). But it's the GSM version that interests us, so here it goes. 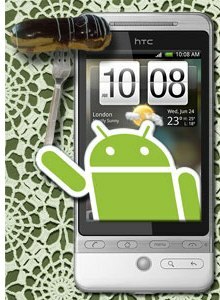 The Android 2.1 Eclair update for the HTC Hero will begin rolling out in European countries in April. It won't happen all at once, some countries will have to wait till May to get it. Now, strictly speaking this isn't official but the XDA forums are a pretty reliable source of information. So, HTC Hero owners might want to put off buying an HTC Legend for now. After the update, the Hero will be brought into the world of Eclair - check out the change log. Current date is April 3th and no update is available in the nordic countries - seems story sadly to be just another hoax.